Bretten and Stockholm, 14.08.2017 – SEEBURGER, a global business integration brokerage vendor headquartered in Germany, has extended its successful e-invoicing offering by embedding additional cloud-based services from its compliance partner, Sweden based TrustWeaver. SEEBURGER has many years of experience in supporting its international customers with a one-stop-shop compliant e-invoicing and e-archiving service. Through TrustWeaver’s single interface, SEEBURGER already offers e-archiving in Europe and Mexico. 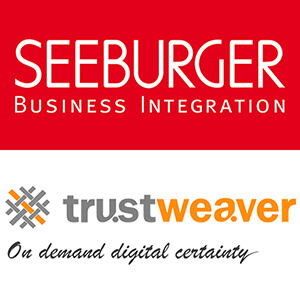 As part of the extended partnership agreement with TrustWeaver, SEEBURGER upgrades its use of TrustWeaver’s services in more than 55 countries by fully integrating compliant archiving of invoices and other business documents. SEEBURGER AG is a global provider of business integration solutions that streamline business processes, enable digital transformation and business initiatives, reduce operational costs, facilitate governance and compliance, and provide end-to-end visibility to the farthest edges of the supply chain to maximise ERP effectiveness and drive new efficiencies. Customers can choose between a Cloud Service, an on premise installation or a hybrid business integration solution. With 30 years in the industry, SEEBURGER today is ranked among the top business integration providers by industry analysts and serves thousands of customers in more than 50 countries and 15 industries. Since its foundation in 1986, Bretten has been the company’s headquarters. 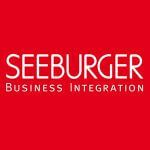 SEEBURGER maintains 11 subsidiaries in Europe, Asia and North America.